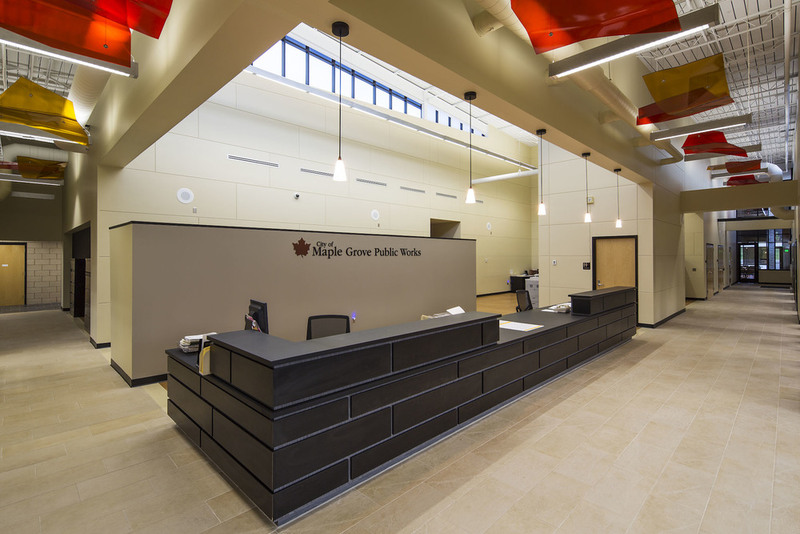 Maple Grove Public Works Facility — OERTEL ARCHITECTS, LTD. The site includes, as most of our projects do, a salt storage structure, a fueling island, storm water storage and bulk material storage and staging, as well as vehicle parking, state of the art vehicle maintenance and a service area. The office space is multi-purpose, and can also be used for staff functions and after-hours city uses, such as voting and city meetings. 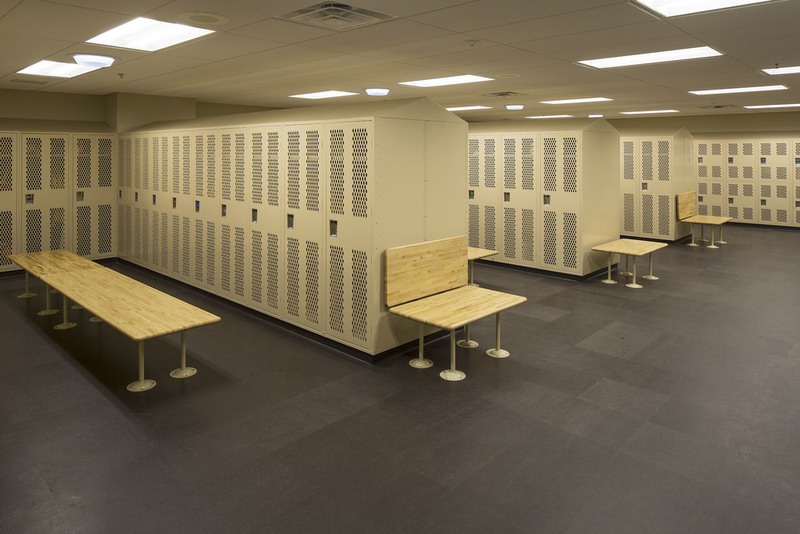 Innovative and cost-effective materials are employed throughout the facility. For example, Gabion baskets are used as wall cladding for a 3-dimensional, textured appearance with a stone and metal look. 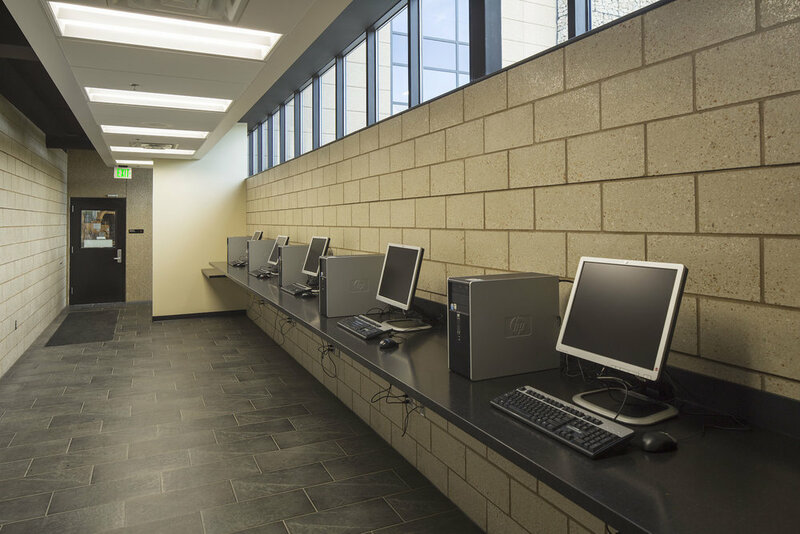 Day-lighting is also used throughout the building, reducing electrical costs for lighting. A building space needs and program was developed for the current department size, as well as 20 and 30 year outlooks for a city that has a significant projected growth for those time periods.